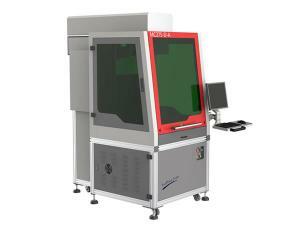 3D Laser Marking Machine, MF50-D-A With a three dimensional surface marking function, the focused light spot precision is within a range of 0-60mm, and an even marking effect is guaranteed. 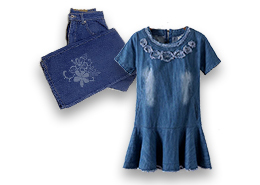 With full closed design, the MC350-DJ-A laser marking machine for denim fabric is safe and environmental protection. The main components are imported from the international famous companies, the performance of our laser machine is stable. 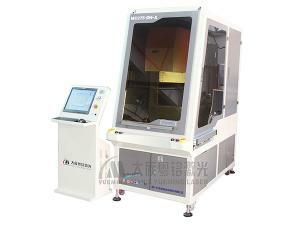 This laser engraving machine features of high marking speed, high efficiency and high precision. 3-Axis CO2 Laser Marker, MC275-D-A MC275-D-A 3-axis CO2 laser marker comes equipped with the German Rofin CO2 laser featuring the peak power of 275W, stable optical power output and uniform power density. 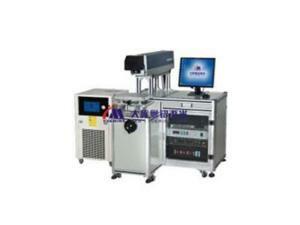 Laser Marking Machine, MC30-B-A The MC30-B-A laser marking machine takes advantage of an imported RF excited CO2 laser to output stable power with uniform laser density. 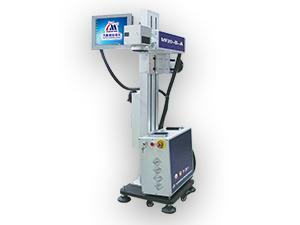 The MF20-B-A laser marking machine uses a highly integrated fiber laser to offer superior beam quality with stable power output and uniform power density, and it is able to deal with aluminum, copper, gold, silver and other high reflective materials without creating shadows and false marking problems. 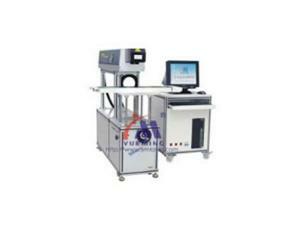 UV Laser Marking System, MUV5-B-A Applicable for a wide range of materials, this UV laser marking system can compensate for the inadequate processing capacity of infrared laser. 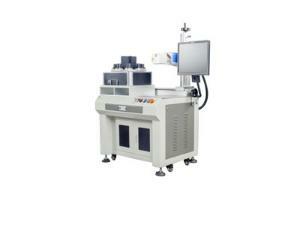 Laser Marking Machine, MC275DLG-D The MC275DLG-D laser marking machine is installed with Rofin CO2 laser, possessing super light spot, stable optical power output, and uniform power density. 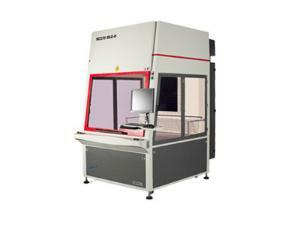 Laser Marking Machine, MC275-DH-A With Germany imported CO2 laser and advanced 3-axis dynamic galvanometer, this laser engraving machine could process 600×600mm surface at a time. 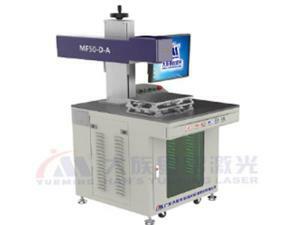 Laser Marking Machine, MF20-L-A This rotary laser marker is a highly automated laser machine that comes with multiple marking stations allowing a number of light bulbs to be marked at the same time. 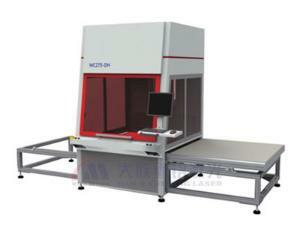 3 Axis Laser Marking Machine, MC275-DH-A MC275-DH-A laser marking machine is a multi-functional machine, which is environmental protection and radiation protection. 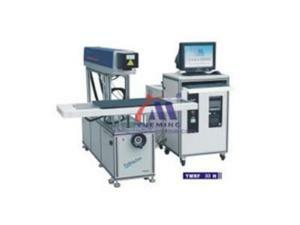 Automatic Lamp Laser Marking Machine, AL211-A The automatic lamp laser marking machine can mark two lamp holders in less than 4 seconds at the same time, and the positioning speed of the belt conveyor is less than 0.75 seconds. Handheld Laser Marking Machine, MF20-P-B The main parts of MF20-P-B handheld laser marking machine feature of high performance and stable operation. 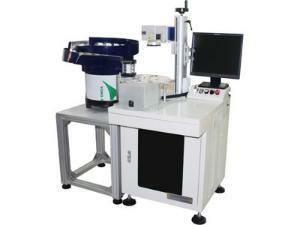 Our product is provided with fast marking speed, high efficiency, and high precision. 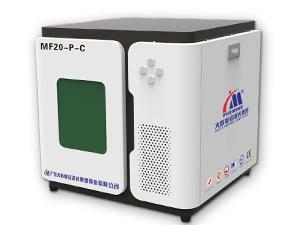 With closed structure, this MF20-P-C portable laser marker is safe and environmental protection. 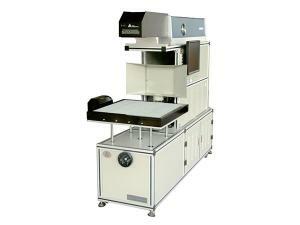 The main parts of laser marking machine feature of high performance and stable operation. 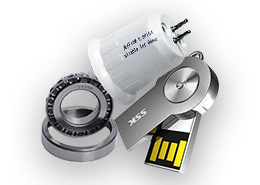 Our product is provided with fast marking speed, high efficiency, and high precision. 3-Axis CO2 Laser Marker, MC180-DLG-B (For Light Guide Plate Processing) Our lately developed economical MC180-DLG-B 3-axis CO2 laser marker for light guide plate processing is characterized by multiple functions, environmental protection and radiation protection. Laser Marking Machine, MF20-E Automatic loading and unloading of materials to be marked, which elimiates the need of manual operation and improves production efficiency. 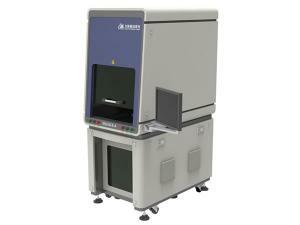 Laser Marking Machine, MF20-E The self-owned fiber laser for MF20-E laser marking machine produces first class light spot. 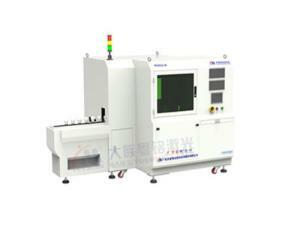 The output optical power is stable with uniform power density, fully satisfying the market demand. High Speed High-End Light Guide Plate Processing Marker The high-speed high-end light guide plate processing marker adopts a 3D dynamic marking system with a high speed 5-10 times faster than general engraving machine. 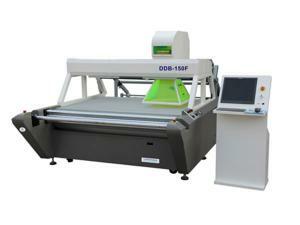 Dynamic Laser Marking Machine, DDB-150F The DDB-150F dynamic laser marking machine is a piece of equipment focusing on large-format marking and cutting, emitting laser beams under the scan of dynamic 3D galvanometer to make it. 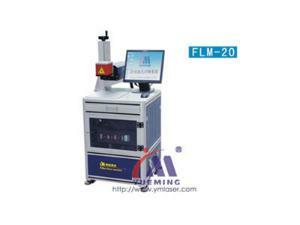 Fiber Laser Marking Machine, FLM-20 FLM series fiber laser marking machine adopts imported fiber laser generator and high speed Galvo system, which ensures stable laser output and high quality laser mode. 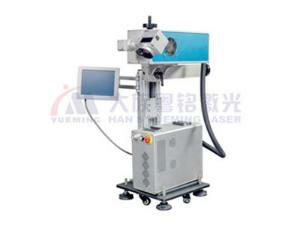 YAG Laser Marking Machine, YAG.50DP-75DP Our laser marking machine has powerful node editing function and vector graph drawing function. The curves can be directly changed during drawing. 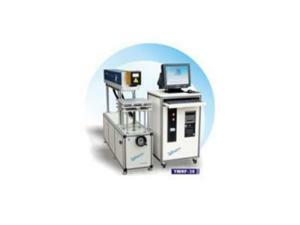 Laser Marking Machine, YMRF.30-100 This laser marker features high reliability, non-contact processing, simple installation, convenient maintenance. It can work for continuous 24 working hours. 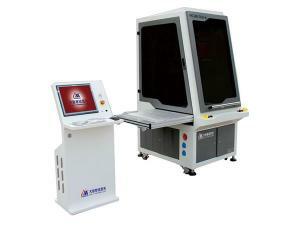 Flight Line Laser Marking Machine, YMRF.30F-100F Our flight line laser marking machine can continuously work for 24 working hours, with high stability, high precision, and high speed. Garment Laser Marking Machine, YMRF.30H-100H YMRF.MV10 The special worktable is equipped with a blowing device which provides powerful air flux to level off the garment on the table, achieving better faceting quality. A laser marking machine is a device that uses laser beam to evaporate the surface layer of the material, or cause chemical, physical changes of the surface layer to engrave marks, or use laser light to burn partial materials, and show the engraved pictures or words. 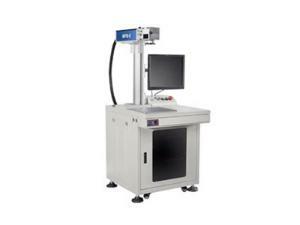 According to the working mode, the laser marking equipment could be grouped into YAG laser marking machine, fiber laser marking machine, CO2 laser marking machine, and more. 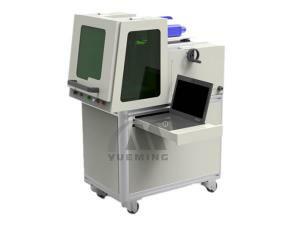 We at Yueming could produce a variety of laser marking machines to meet customer's different demands. 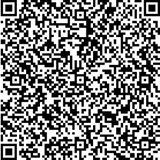 Our laser marking machine is widely used to engrave metal or various nonmetal materials in industries like medicine packaging, architectural ceramics, textile cutting, rubber products, nameplate, electronic components, leather, electrical appliances, hardware, precision instruments, auto parts, etc. a. Common metal and alloy: ferrum, copper, aluminum, magnesium, zinc, etc. f. Epoxide resin like the sealing layer and insulation layer of electronic elements. As an experienced laser marking machine manufacturer in China, we know how to produce high quality industrial laser equipment at a low price. 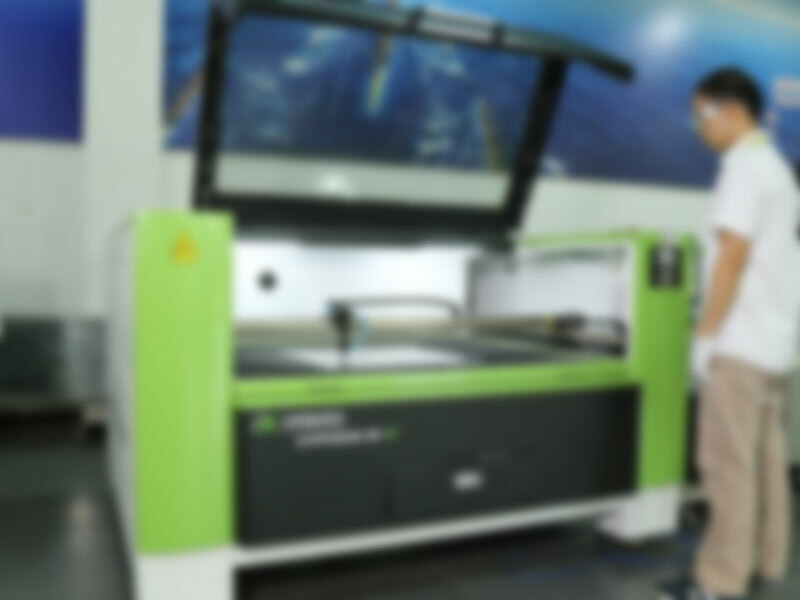 In addition to laser marker, we also provide laser engraving cutting machine, laser cutting machine, and laser engraving machine. 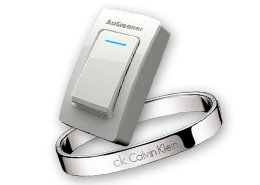 All of our products are CE certified, so you can use them securely. Now our laser marking machine and other industrial laser equipment are widely used in America, Japan, Germany, Italy, Brazil, India, and so on. If you would like to place an order, please feel free to call or email us! 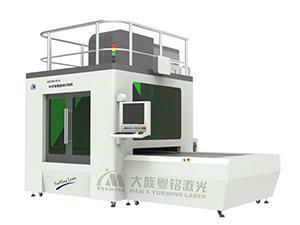 Han's Yueming Laser Technology Joint-Stock Company looks forward to working with you!